Rodriguez’s departure puts into question the power dynamics of the board that oversees the nation’s second-largest school district. In 2017, charter school-backed board members won a majority on the board in the most expensive school board race in the nation’s history. 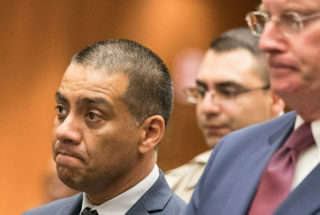 The Crime: What did Rodriguez do? The case dates back to late 2014 at the beginning of Rodriguez’s run for the board. Rodriguez and Elizabeth Melendrez, a cousin and campaign volunteer, reimbursed 25 political contributions to Rodriguez’s campaign committee, according to a filing posted Friday by the city’s Ethics Commission. Both Rodriguez and Melendrez have now admitted that. The Board: What does this mean for LA Unified? The Students: What does this mean for schools? plan,” the news release stated.